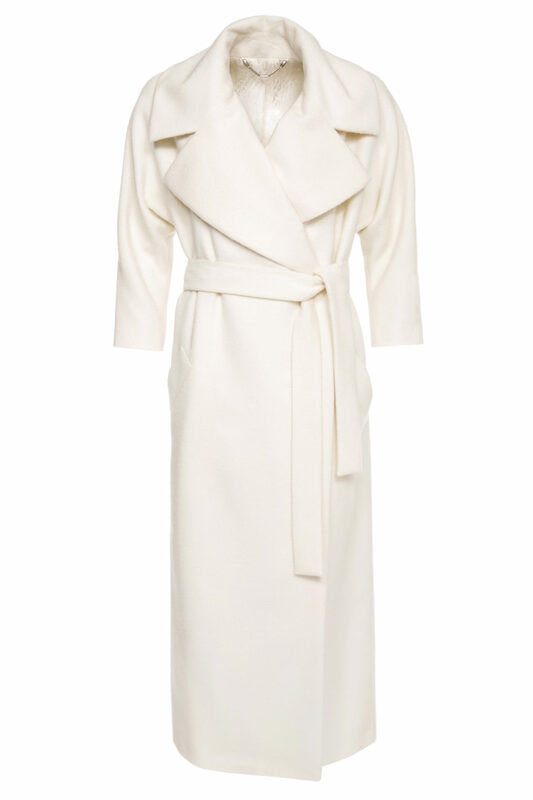 A classic in any wardrobe, this season the luxurious Alma coat makes a return in a subtle vanilla white hue. 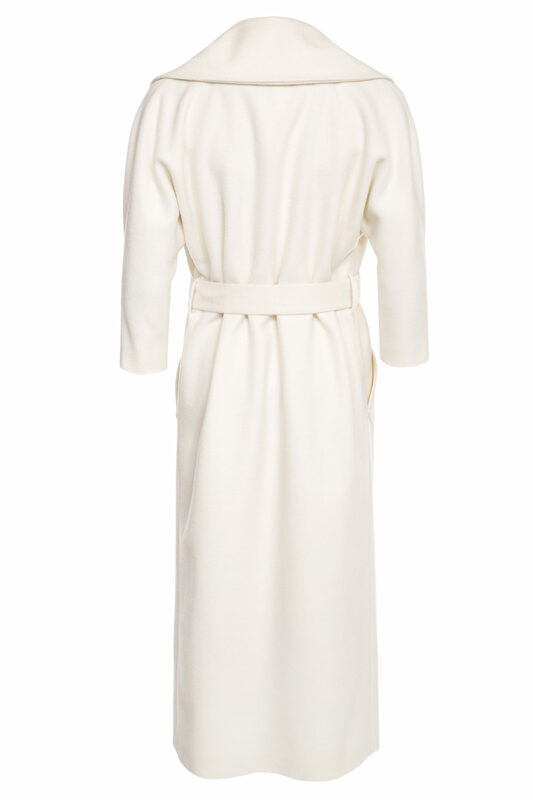 The design has large notched lapels and a waist-tie that cinches the loose silhouette. Comfortable dolman sleeves make it easy to wear over anything and enhance the relaxed fit. Styling tip: The neutral hue will go perfectly with your favourite and existing wardrobe staples. Style it with everything from tailored pants to fitted dresses.